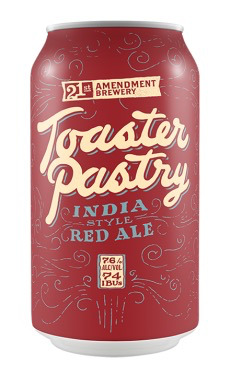 Our first beer out of our new brewery is an homage to its former life as a toaster pastry factory. 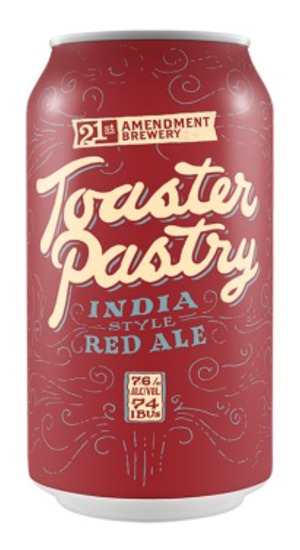 Our first beer out of our new brewery is an homage to its former life as a toaster pastry factory. Biscuit malts give the beer a slightly nutty, crust-like flavor, while pale and dark Crystal malts create the mouthfeel and flavors reminiscent of strawberry jam. Calypso and other experimental hops give this ruby ale a welcome bite, plus a few more in the hop back for a toasty-sweet aroma.